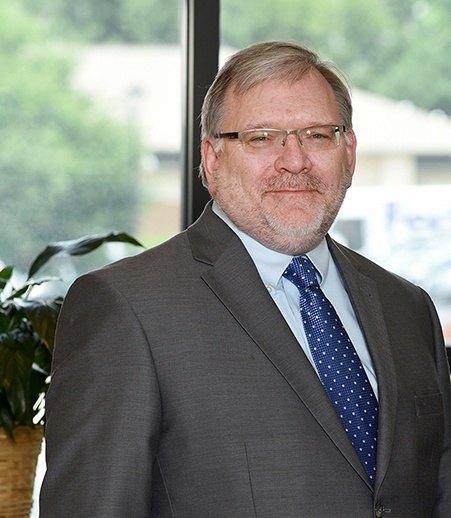 Don Schoemaker’s tenacious litigation approach has found success defending clients against claims involving medical malpractice, product liability, employment discrimination and commercial litigation. He has tried to verdict more than 90 matters, the majority in Madison County and St. Clair County, Illinois, nationally known as two of the most difficult venues for defendants. Don has represented the defense in matters involving medical malpractice, catastrophic auto/trucking accidents, product liability, employment discrimination and commercial litigation. He has represented a broad range of clients including hospitals and physicians; manufacturing, agricultural and transportation businesses; attorneys and accountants. As general counsel to several medical groups and small corporations, Don also advises them on day-to-day matters and how to avoid litigation. Don is a member of the firm’s technology committee and is dedicated to finding ways to add value for clients through technology, including more efficient document review. He has substantial experience in managing mass tort litigation and using computer technology in organizing defense material. Defense verdict for a surgeon and orthopedic group opposing a patient’s claim that the surgeon breached the standard of care in lacerating the median nerve during carpal tunnel surgery. The jury found in favor of the defense after three days of evidence during a 2016 trial in Jefferson County, Illinois. B v. Hospital, St. Clair County. B was a passenger in a minivan on the Martin Luther King Bridge (Illinois side) when her vehicle was struck head-on by a drunk driver who was killed on impact. B was due to deliver a baby in three days, and at the crash scene, she had minor lower back/abdominal pain. When the ambulance arrived, B was standing outside her vehicle. Fourteen minutes later, the ambulance left with B. The closest Level II trauma center was Kenneth Hall Hospital, six minutes away, and B was taken there. Treatment at Kenneth Hall's ER was uneventful, with an ultrasound and external monitor showing no distress. At B's parents’ request, she was transferred that evening to a St. Louis hospital, directly to an obstetrics floor. Upon initial review, the fetus was reported as living and had a normal rate. No signs or symptoms of placental abruption were present. A half-hour after admission, the fetus' heart rate began to decelerate. An emergency C-section was performed within 20 minutes. Apgar scores were 0 at 1, 5 and 10 minutes. Upon birth it was determined that there had been at least a partial placental abruption at some point, and the baby died. B sued, among others, the defendant hospital because they were the local trauma center for Illinois Region IV. The trial judge denied a motion to dismiss. Extensive discovery took place regarding the method of creating ambulance protocols, state supervision, state direction and the inability of a trauma center to change protocols without state approval. Plaintiff demanded $1 million in settlement. After three years of discovery, 17 discovery depositions and the depositions of nine expert witnesses all of the defendants except the hospital settled. The hospital received summary judgment on the first day of trial. Distributing, Inc. v. Major Production Company, St. Clair County, Illinois. Plaintiff Distributing, Inc. was one of Major Production Company’s distributors. There were approximately seven other companies in the exact same business in southwestern Illinois. MPC also used Distributing, Inc. to do haulage for a flat rate to certain locations. MPC sent a letter saying it would do its own hauling to MPC’s direct customers. Plaintiff believed this would run them out of business, so they ceased operations completely. Even though MPC offered to buy out Distributing at a premium, Distributing refused to sell and instead closed operations. (Discovery revealed that this was a tactic to increase damages for the suit against MPC.) After MPC sent the letter, a different executive at MPC changed the policy and it never had its own drivers do the hauling. Plaintiff sued MPC alleging fraud for the letter and an “attempt” to run them out of business. Defendant denied the allegations. "Social Media, Smartphone Evidence and Texts in Personal Injury Litigation"